Including a poster, bookmarks, a coloring page, and more. No matter where you and your students are on your recycling journey, celebrate your efforts! Started a “Green Club” or sustainability group in your school? 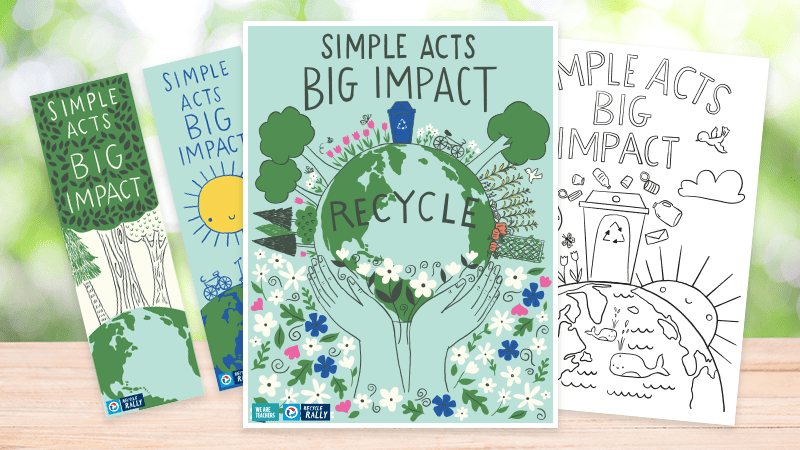 Use these inspiring, happy and hopeful printables to motivate earth-minded students to take care of the earth by giving back. Recycling rocks, so keep the excitement going! 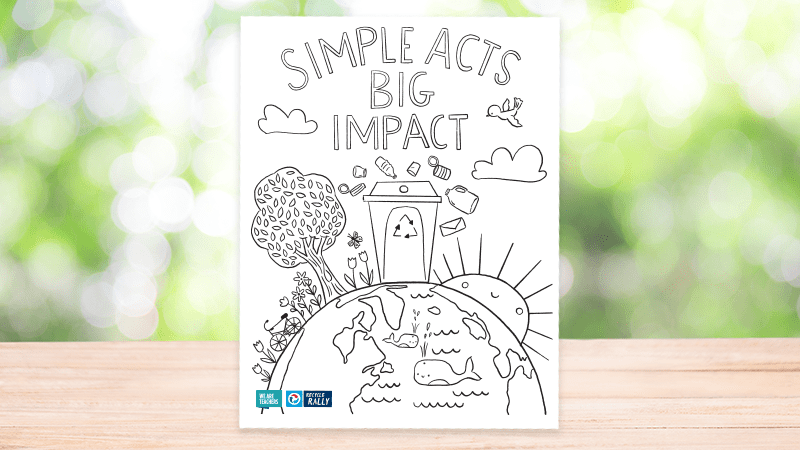 Students will love a “Simple Acts, Big Impact” 8×10 poster. Great for lockers, decorating the classroom, or as a take-home reminder on their family fridge. Their efforts mean big things! 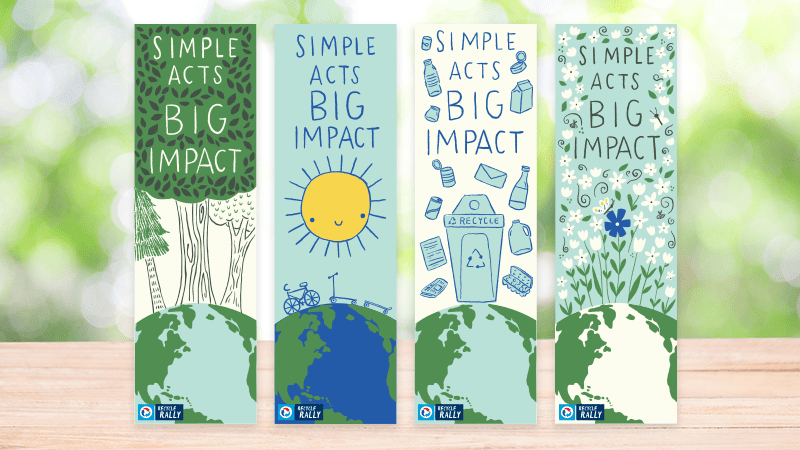 This set of five beautiful bookmarks will remind literature-loving kids of their take-care-of-the-earth responbility and the amazing work they’re doing. Teachers and students can create round buttons to showcase their recycling dedication, or hang as a locker reminder to their recycling commitment. The world is full of beauty and wonder when we take care of it. Let students creativity shine with this gorgeous recycling coloring page! 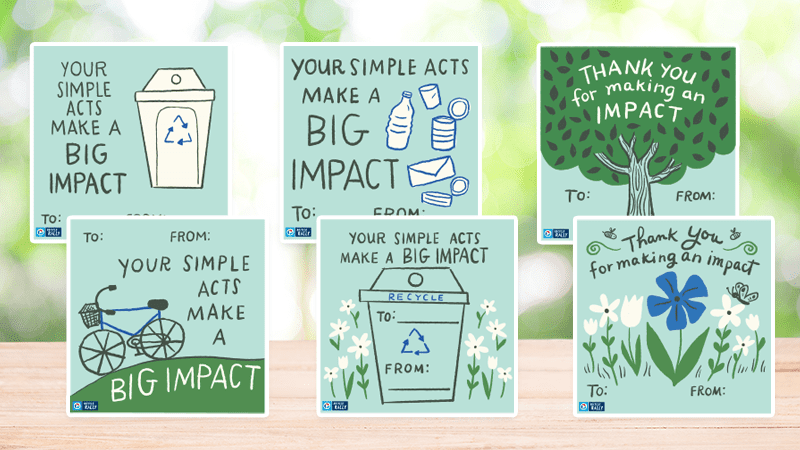 You can show your students your own thanks for their recycling efforts, or students can share with each other. The earth thanks them, too! 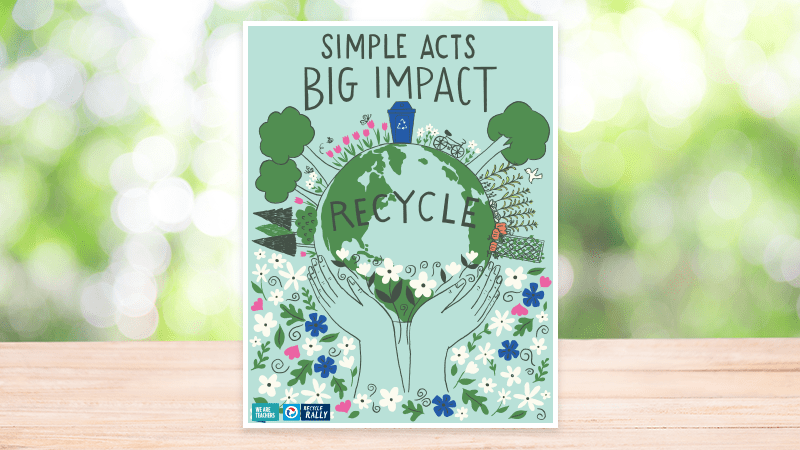 Get Your Free Green Club Printables Now!